I quickly discovered that there probably weren’t 64 different mortgage options out there, let alone 32, unless you really want to split hairs and give everything an interest-only option. Or add a 3rd and 4th mortgage to the mix. So I went with a more appropriate 16-team field, and the results are featured in the image above. In this year’s tournament, fixed-rate mortgages dominated adjustable-rate mortgages because mortgage rates are at unprecedented levels. This makes it wise to lock in a low interest rate for “life.” Of course, the 15-year fixed gave the 30-year fixed a run for its money, but you can’t mess with greatness. When it comes down to it, different homeowners will favor a different outright winner, based on their own personal qualities, finances, preferences, and needs. For some, paying off the mortgage makes more sense than investing, even if not financially rational. 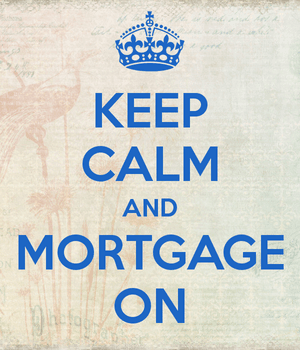 But for others, it may be the perfect time to pay down the mortgage slowly and invest the money elsewhere. Others may opt for a short-term ARM because they plan on selling or refinancing in the not-so-distant future. Just look at Facebook founder Mark Zuckerberg, who opted for a one-month ARM with an initial interest rate of 1.05%. Non-billionaires need not apply. In summary, there is no one-size-fits-all in the mortgage world, but a 30-year fixed definitely makes it easier to sleep at night, which is why it was victorious in this year’s tournament.